One of the most important aspects of being a homeowners is ensuring that you're keeping up with your home's maintenance needs, whether that involves breaking out your toolbox and rolling up your sleeves, or calling in a professional to handle some of the jobs around the house that require a bit more of a professional touch. 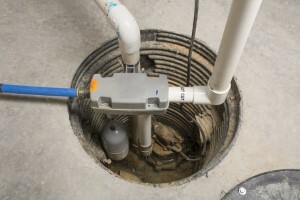 While drain cleaning might seem like a job that fits into the former category, you might be surprised to learn the number of benefits that stand to be gained by having your next drain cleaning service performed by a skilled professional. To help highlight exactly what some of these benefits are, our team of skilled Kamloops plumbers have taken the time to put together this short list for your reading enjoyment. One of the most notable benefits you stand to gain from professional drain cleaning is going to be the difference in how fast your drains are actually able to remove water from your home. While store-bought cleaners are great for clearing up less severe clogs, they don't do much of anything to address many of the underlying issues that led to the clog in the first place, particularly in the case of chemical buildup and residue. With professional drain cleaning, however, our skilled professionals will give the inside of your pipes a thorough cleaning to remove all of that built-up residue, helping to prevent future clogs and speed up the drainage process. Over time, the buildup of chemical deposits and other chemical residues inside your pipes can lead to weakening and corrosion, which are two of the most common causes of plumbing leaks in the home. By having your drain lines professionally cleaned every so often, however, you can help to prevent this corrosion from taking place, stopping leaks at their source and sparing you a great deal of time and headache in additional repair costs. Most homeowners tend to think that the worst-smelling drains in your home have to be from your bathroom, but kitchens tend to the biggest offender. Kitchen drains in particular tend to carry a great deal of water that's been fouled by food, bacteria, and chemicals, and if any of this starts to back up, it can cause the foul odors these substances produce to come back up into your home. By having your drains professionally cleaned every so often, however, you can wash away these foul-smelling contaminants, and keep your home smelling nice. While most homeowners see drain cleaning as a way to get rid of current clogs, professional drain cleaning can also help to prevent future clogs as well. Professional drain cleaning addresses the underlying causes of the clog as well as the clog itself, reducing the likelihood of the clog reforming sometime again in the near future. If you're looking for a professional plumber, give us a call today at 250-376-1438 or fill out our online request form.